To become a quick billionaire in Nigeria, you can “rise early, work hard, strike oil.” However, to become a billionaire like Benedict Peters, you need to do more than that. You need to be fearless, ‘combative’ and be determined to never let the strong tide of opposition and woes drown you. The University of Benin-trained entrepreneur remains one of the most dogged achievers in Nigeria, and his businesses continue to transform not just Nigeria, but Africa as a whole. 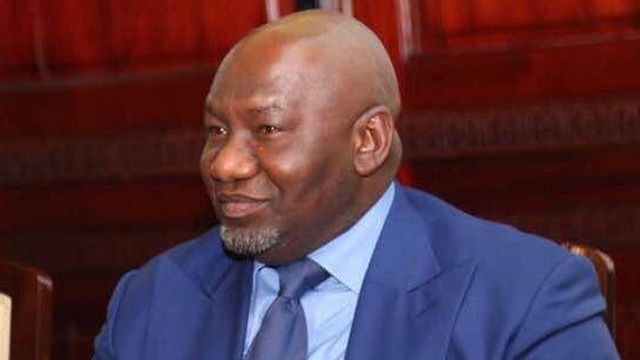 In October 2018, Forbes named Aiteo Group’s Executive Vice Chairman, Benedict Peters, as Africa’s Oil and Gas Leader of the Year. The recognition, which is said to be an “acknowledgement of Peters’ significant contribution to oil and gas development in Africa by visionary leadership, distinguished service and transformational realignment of a sector dominated by International Oil Companies”, was the latest addition to his long list of awards, amongst which are Marquee Award for Global Business Excellence and the prestigious Dr. Martin Luther King Jr. Legacy Awards in Washington, DC. Barely a month after the oil mogul bagged Forbes Award, he is set to be decorated in his own country as Man and Businessman of the Year by three top-tier media outfits in Nigeria. Peters journey to the top in Africa’s Oil and Gas sector has been both inspiring and tumultuous. Starting his company from the scratch in 1999, after a 7-year career as an employee, Peters invested hugely in building capacity in the oil and gas downstream sector. Today, his company, Aiteo, has thrived for about two decades – going from a downstream start-up to becoming a leading integrated energy conglomerate with strategic investments in hydrocarbon (or commodities) exploration and production. In 2015, Benedict Peters asset portfolio became bigger with a $3 billion acquisition of sub-Saharan Africa’s largest onshore block (OML 29) and a major crude export pipeline from Shell (SPDC). 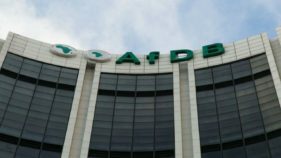 Subsequently, Aiteo optimised the asset’s yield from 17,000 barrels of oil per day (bopd) to almost 70,000 bopd within the year of acquisition. Aiteo currently holds a huge stake in Nigeria’s oil and gas sector as the highest oil producing indigenous company, with a peak production of almost 100,000bpd, doubling its initial asset value to $6 billion within three years. 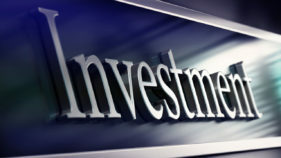 The company plans to invest another $4.3 billion acquiring additional offshore assets with a projected total output of 250,000 bopd in the short to medium term. Peters’ track record of excellence spans over 20 years in the commodity and energy trading industry as well as the banking sector. His other investments cover mining, agriculture, infrastructure development, electricity generation and distribution, with a fast-growing retail distribution network in some African countries. His passion and commitment to empowering young Africans has been expressed through his investments in education and sports. In 2017, he contributed immensely to developing g football in Nigeria and on the African continent through partnerships with Nigeria Football Federation and Confederation of African Football (CAF). With NFF, Benedict Peters, through his company Aiteo oversees a sponsorship deal catering for the national team, coaches and technical crew, and yet another for the country’s FA Cup, now renamed Aiteo Cup. Through Aiteo, Peters also sponsors the prestigious CAF Awards as well as NFF Awards. He has also assisted thousands of internally displaced persons in northern Nigeria while supporting clean water sanitation initiatives in Africa, in partnership with Face Africa, improving the lives of over 25,000 people in rural Liberia. Peters addresses social and environmental issues in the agricultural sector through the Joseph Agro Foundation, set up in July 2014 to tackle chronic unemployment and water shortage. 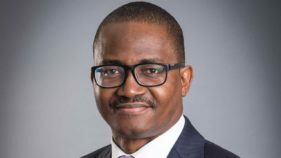 His company, the Aiteo Group is also focused on serving the needs of communities across the continent by leveraging a unique combination of a strategic asset base, technology, innovation, and some of the best technical and business minds across the industries it operates in. The group has been expanding rapidly, to extend its operations to different countries across Africa and beyond with emerging international presence in the DRC, Ghana, Guinea, Liberia, Zambia, Zimbabwe as well as offices in Geneva and Paris. Ahonsi is a post-graduate student at the University of Ilorin.